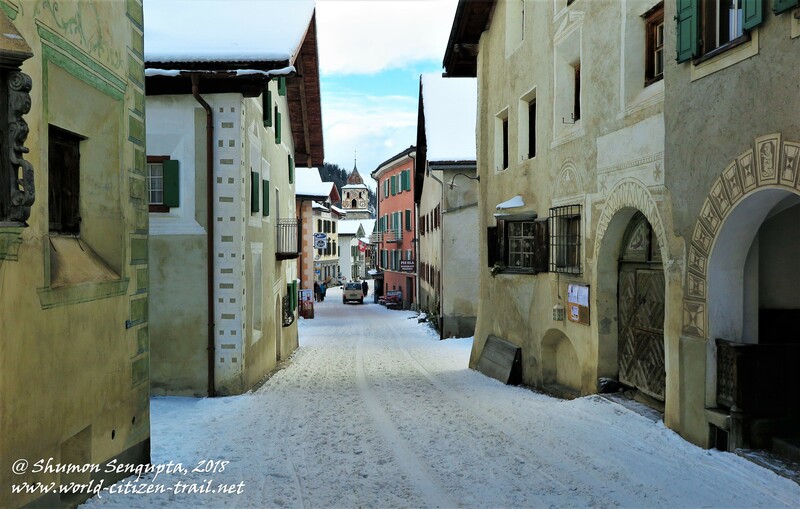 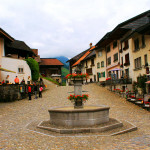 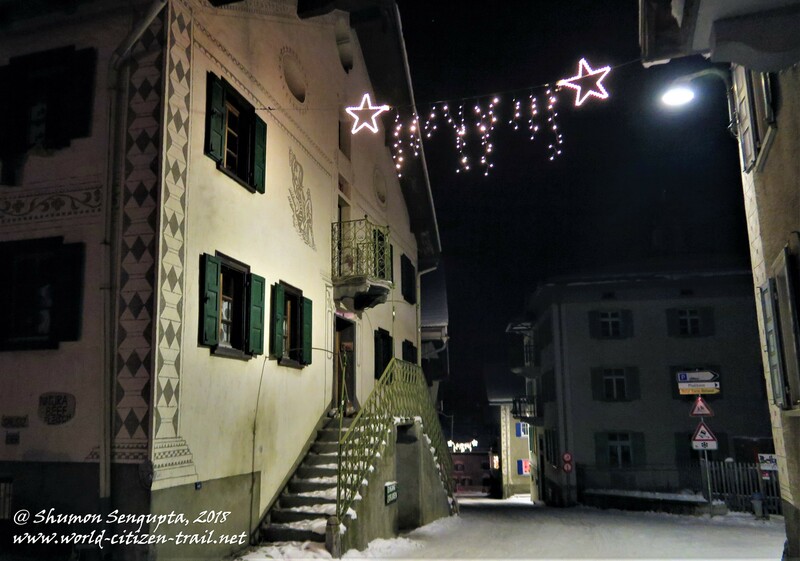 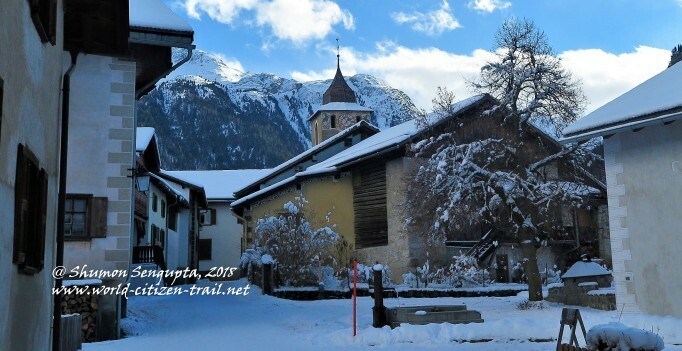 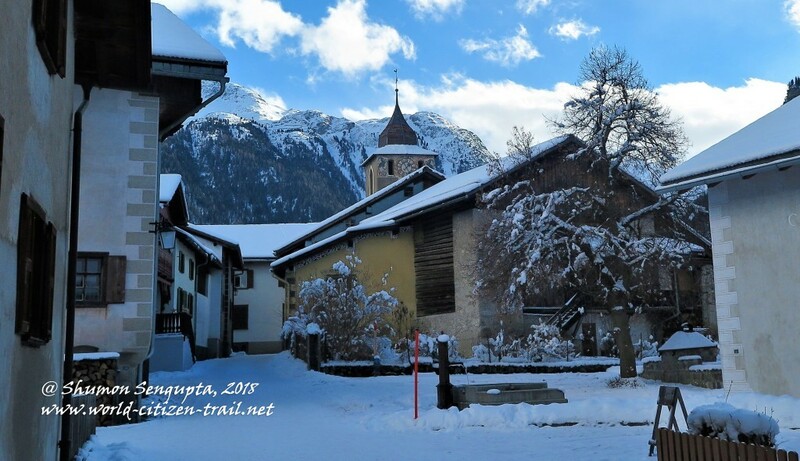 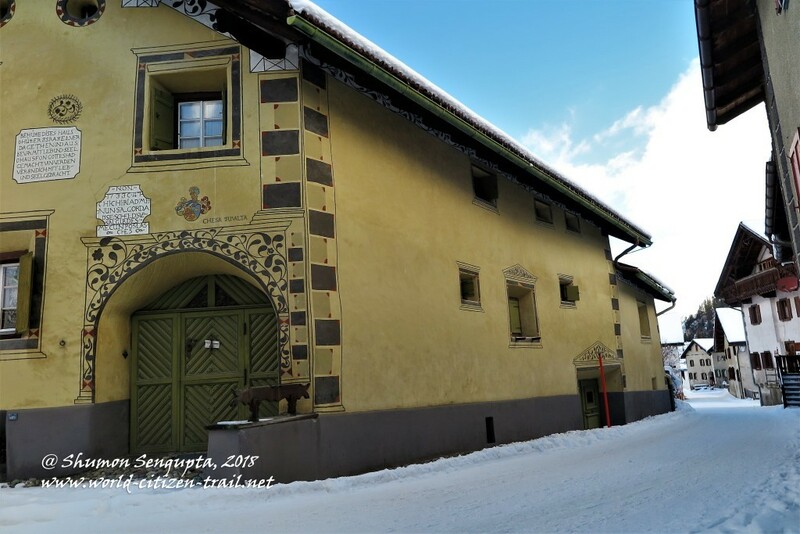 This album is from a short trip to the unspoiled sleepy little village of Bergün in Switzerland. 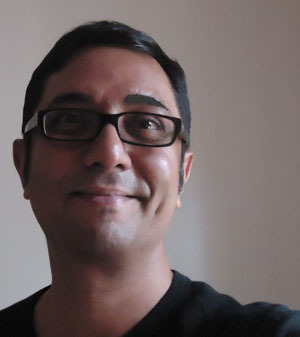 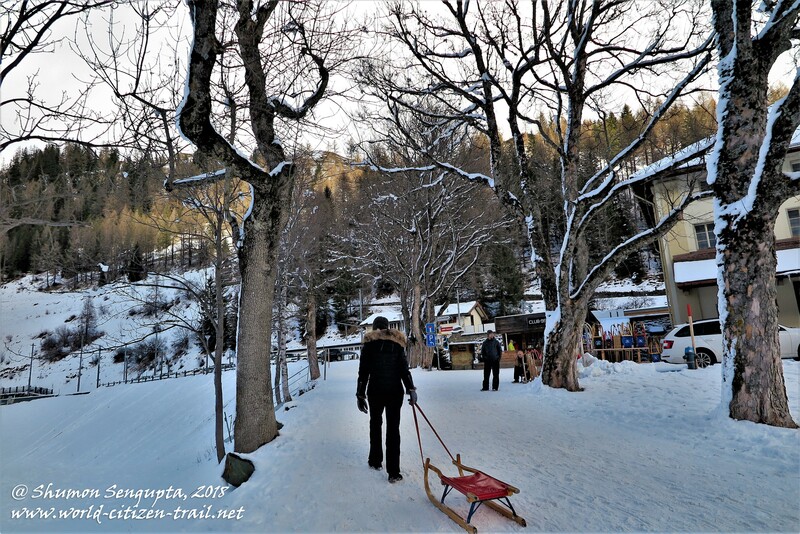 I was there during 2017 Christmas, on my way back to Delhi from New York – hence, it was a solo trip. 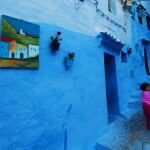 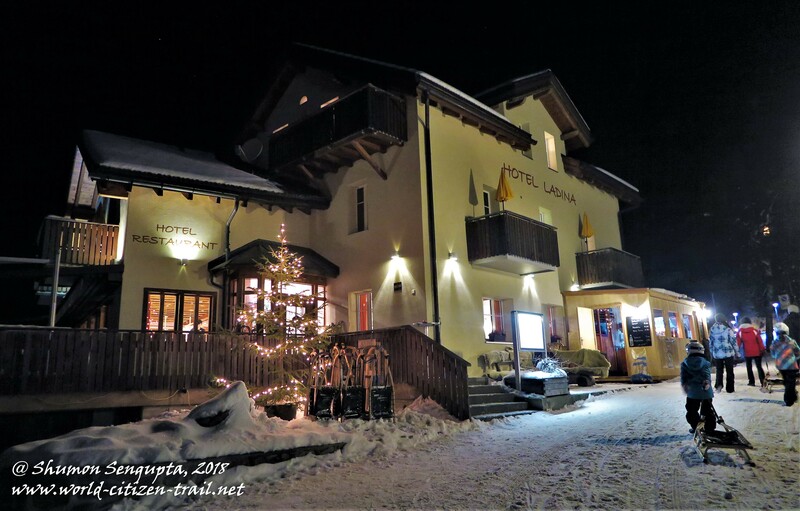 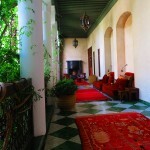 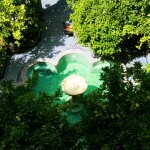 I stayed at the charming Hotel Ladina for three nights. 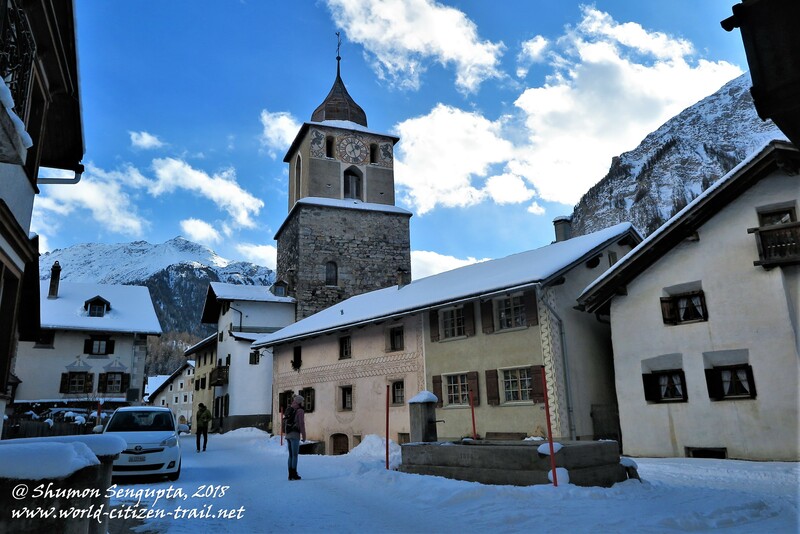 Bergün lies at the foot of the Albula Pass, and is the gateway to the spectacular Engadine region of Switzerland. 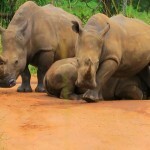 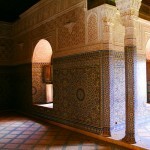 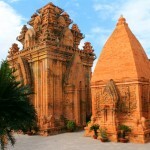 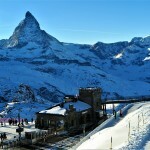 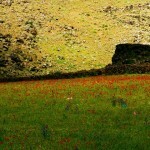 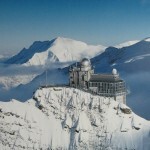 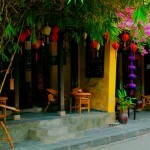 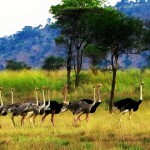 It offers stunning panoramic views of the mountains and valleys in summer, as well as winter. 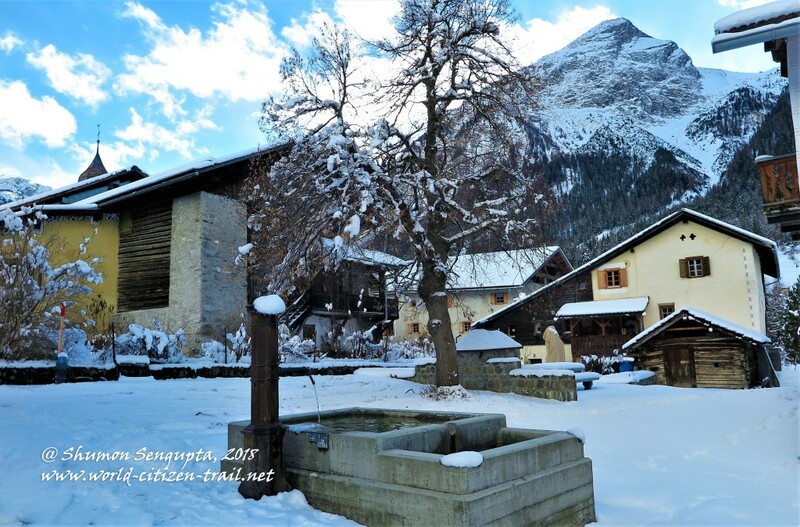 The fabled Bernina Express goes past the village. 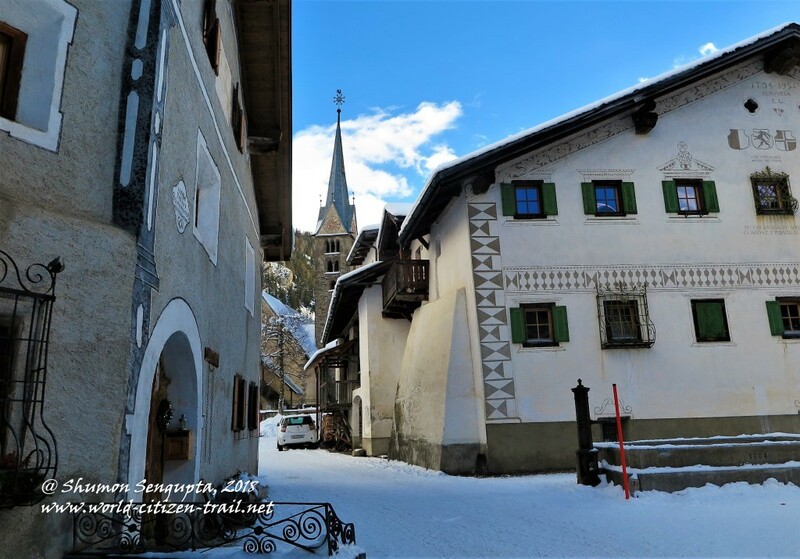 The village has a lovely little square with quaint and picturesque houses, an 800-year old Romanesque Church and Tower that have apparently remained unchanged over the centuries. 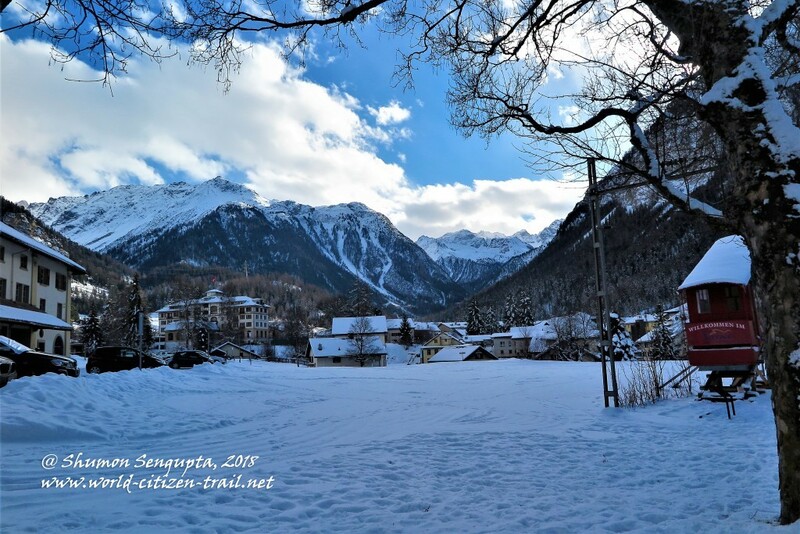 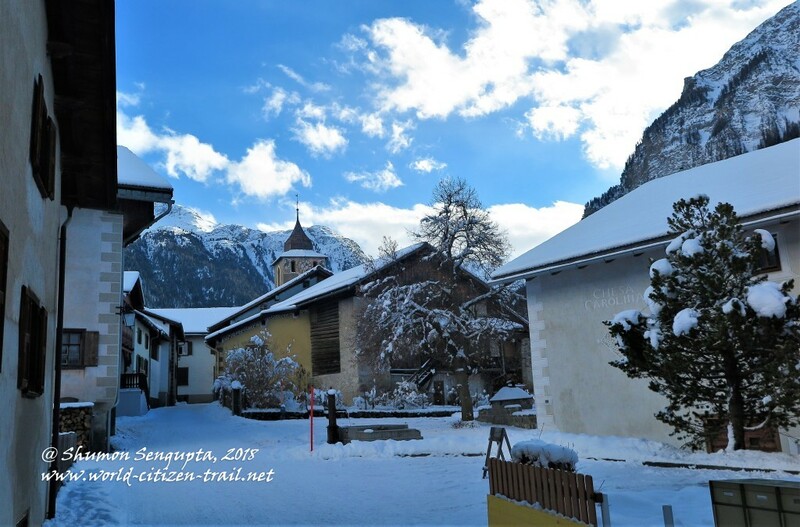 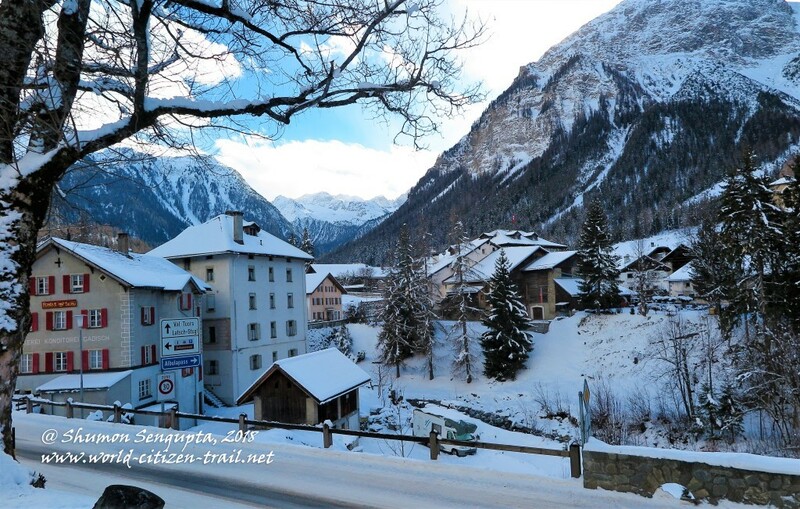 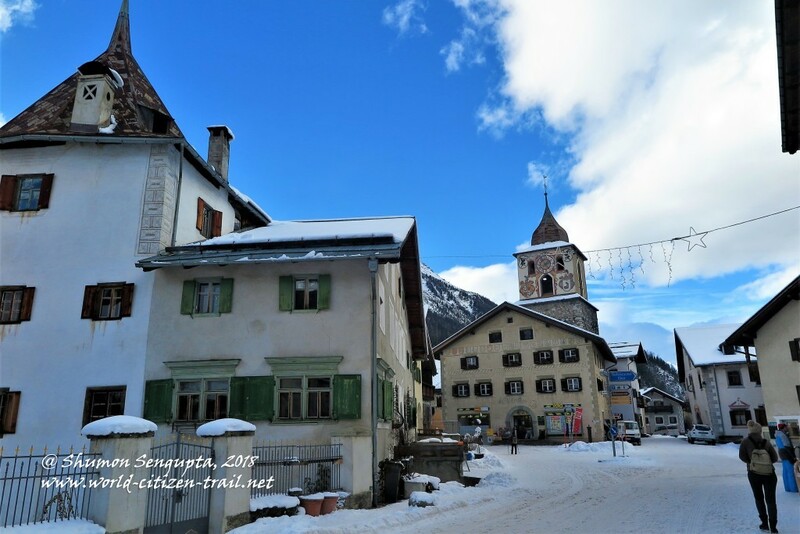 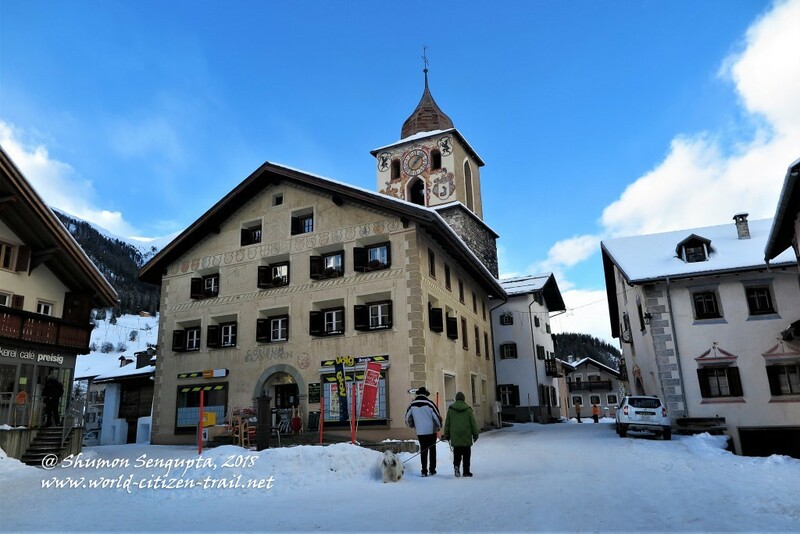 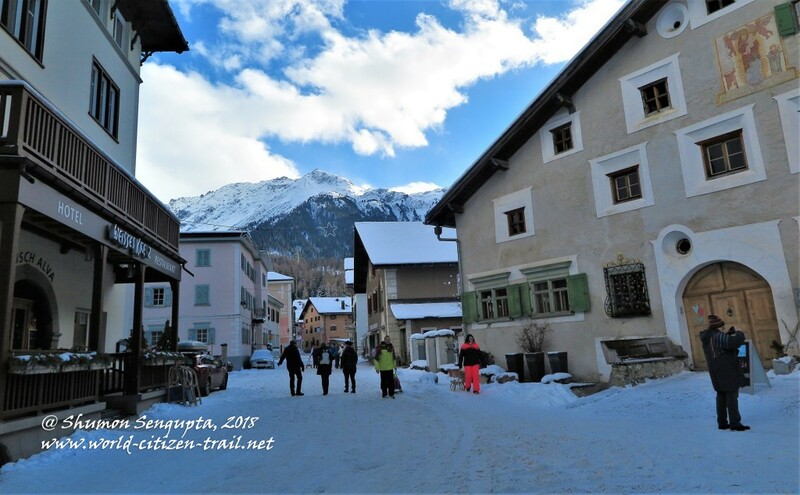 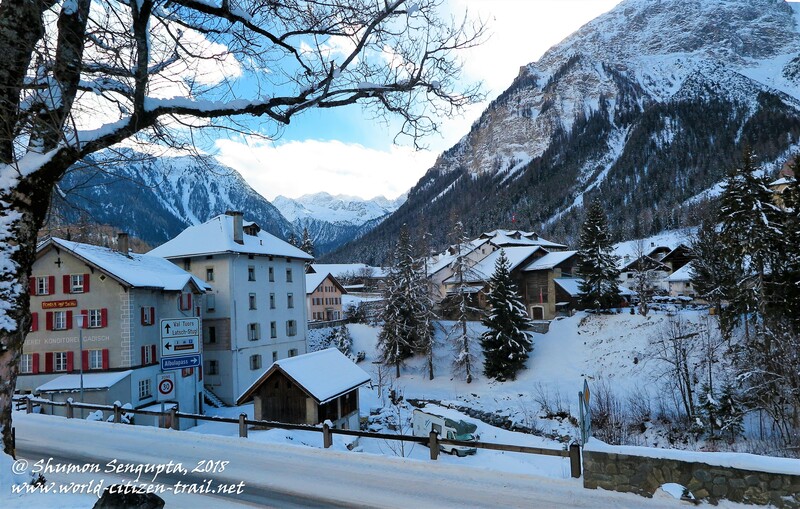 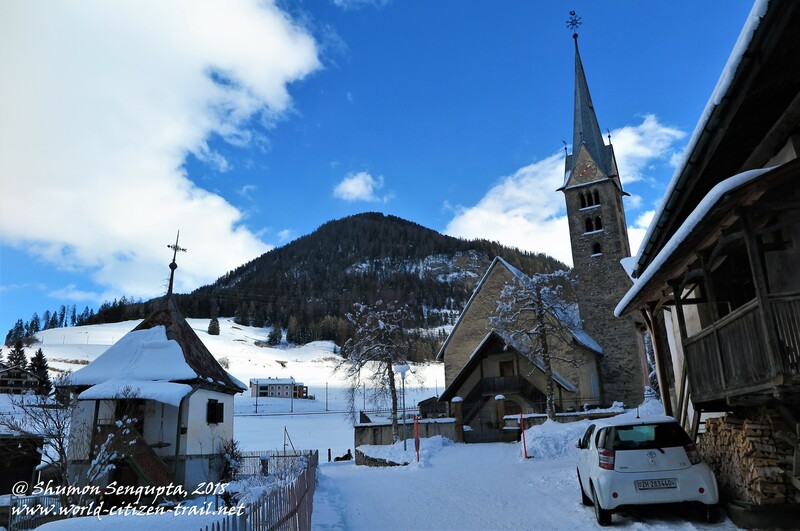 Bergün is considered to be the Tobogganing Paradise of Switzerland. 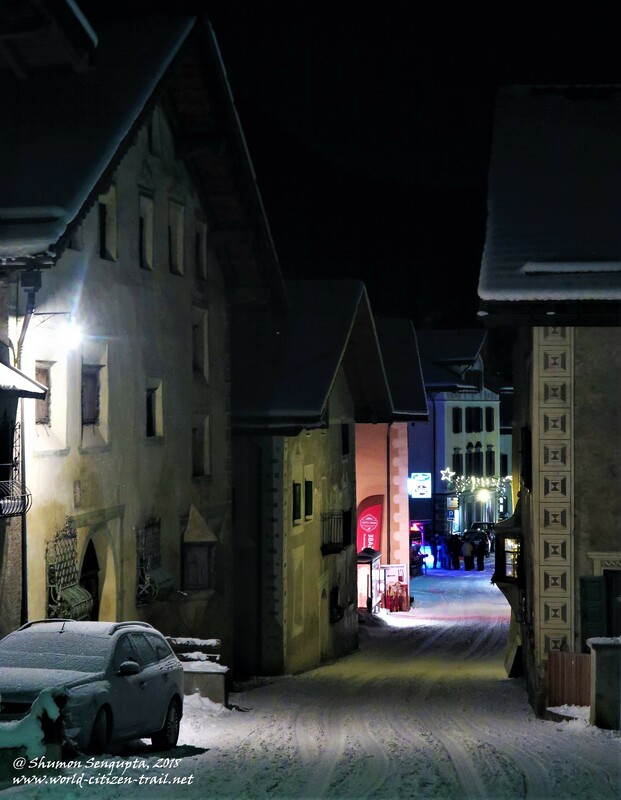 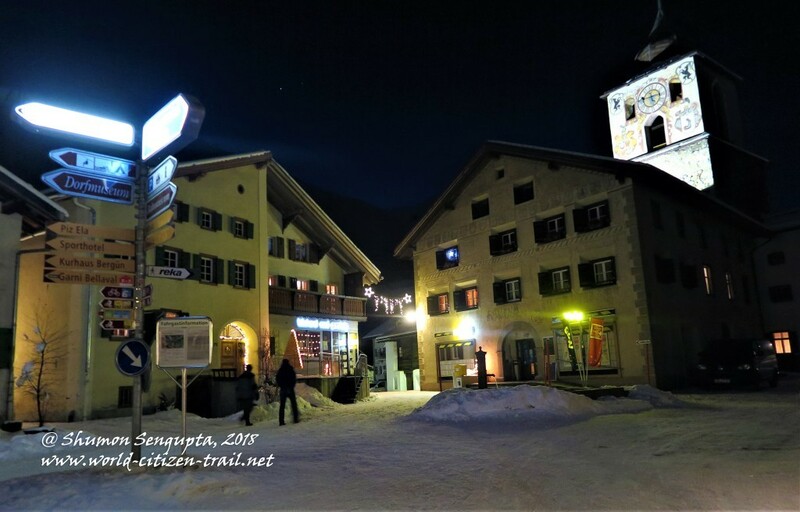 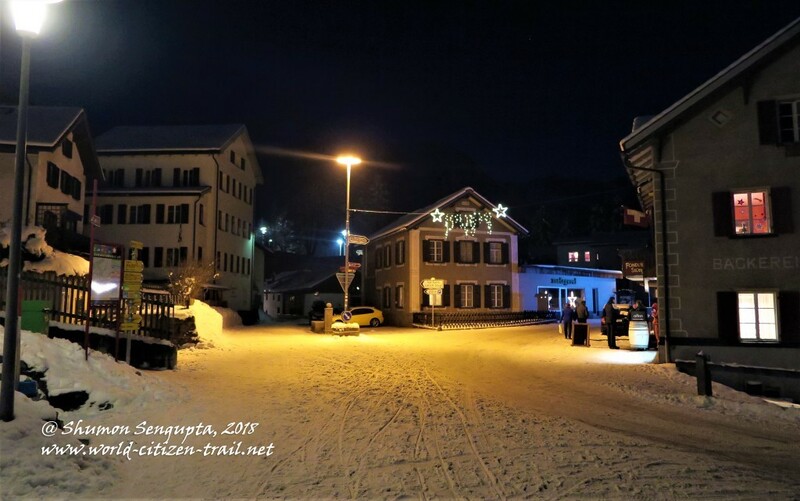 While you can also do quite a bit of cross-country skiing and winter walks, it is best known for having one of the longest Toboggan tracks in Europe, which is floodlit in the night. 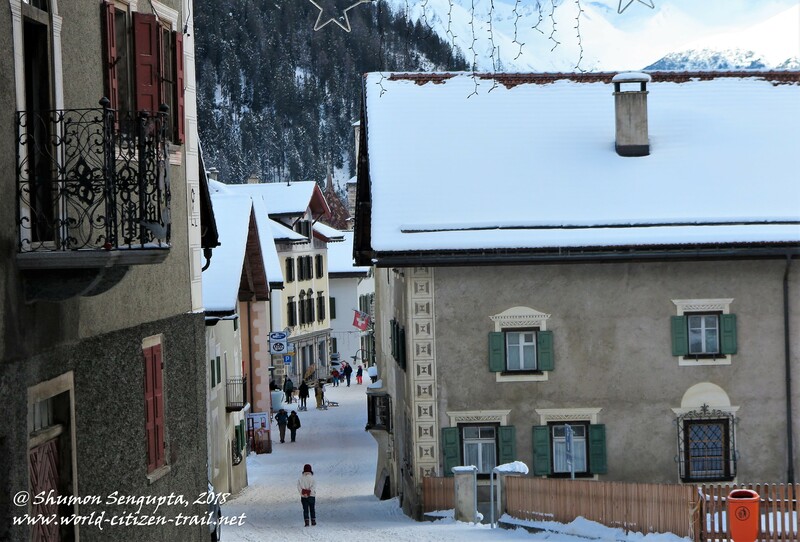 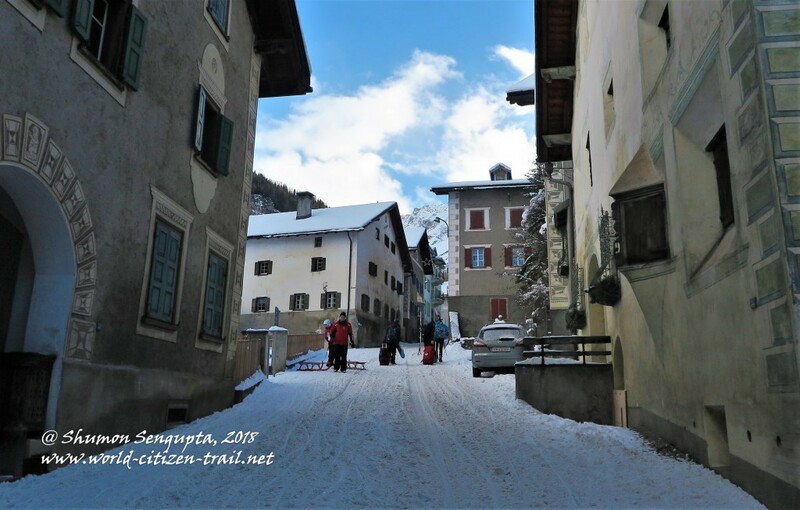 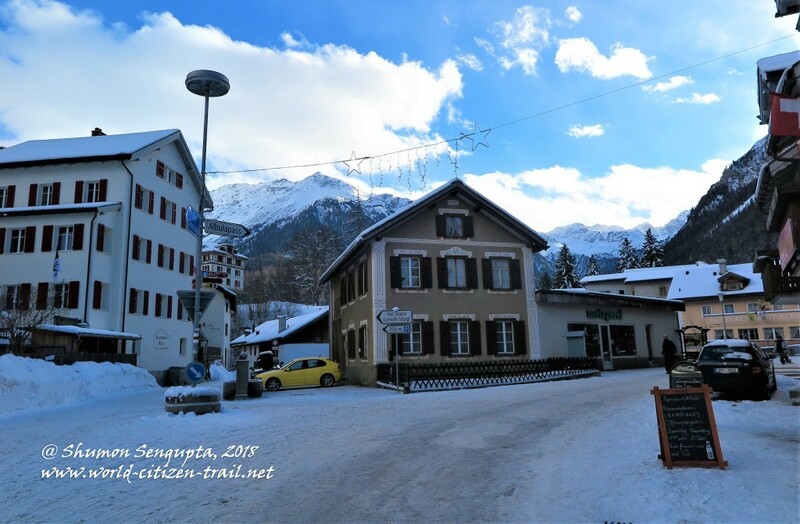 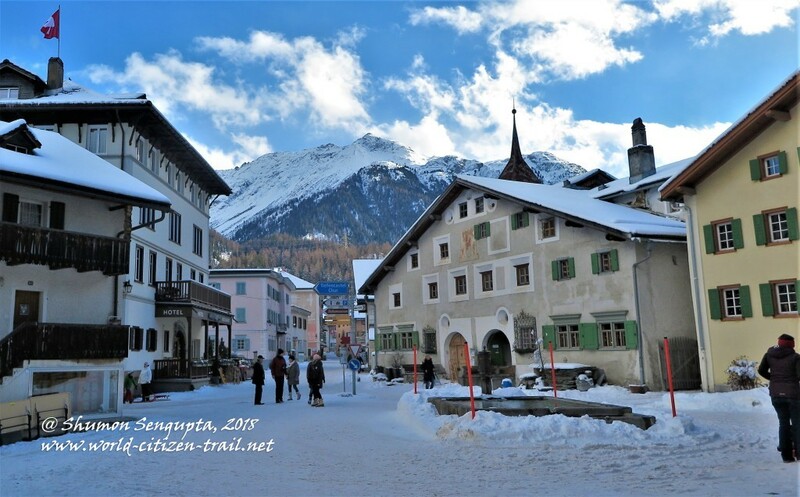 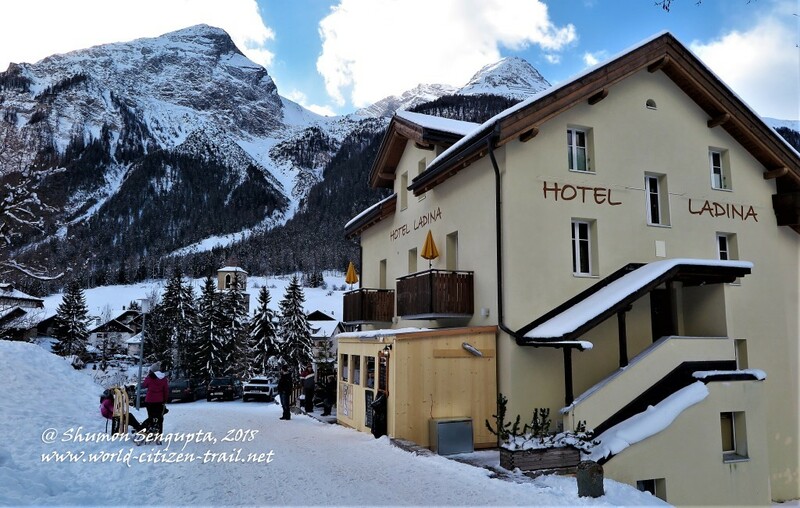 For the Toboggan run, you need to take the train along the UNESCO world heritage Albula line from Bergün, up to Preda. 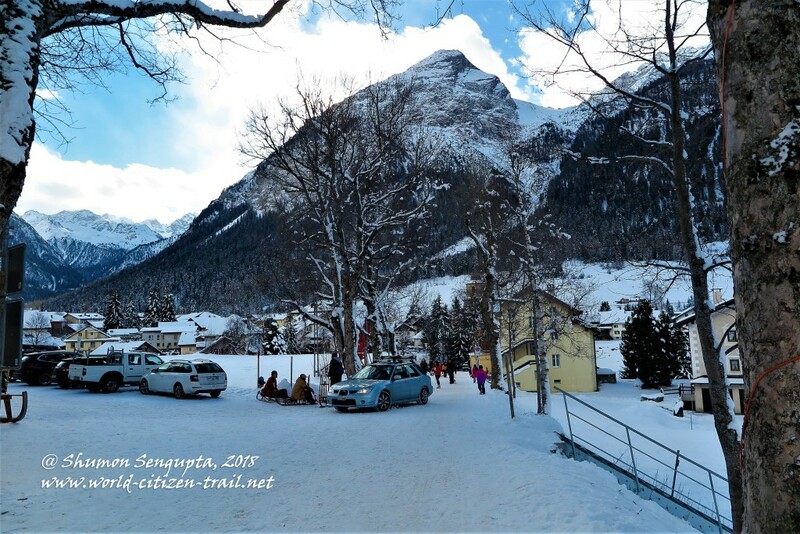 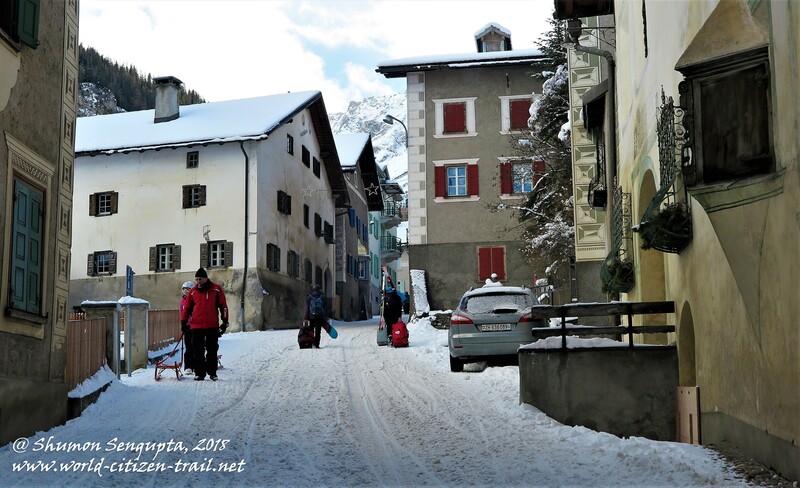 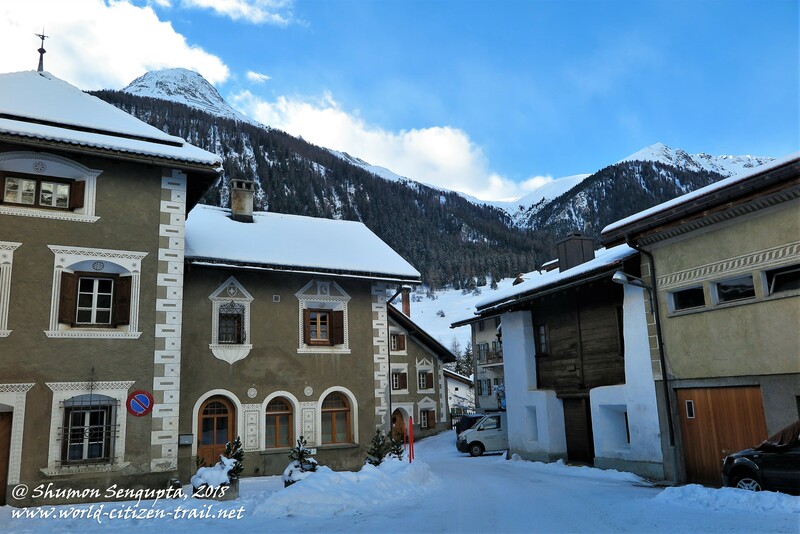 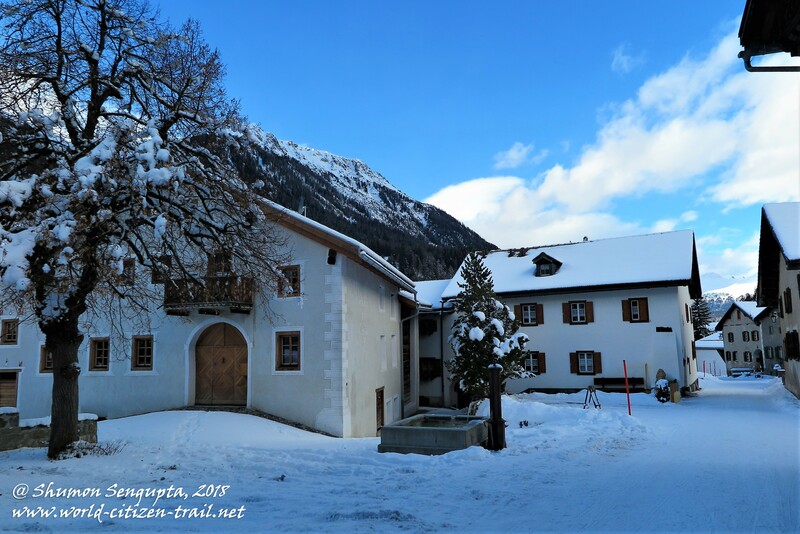 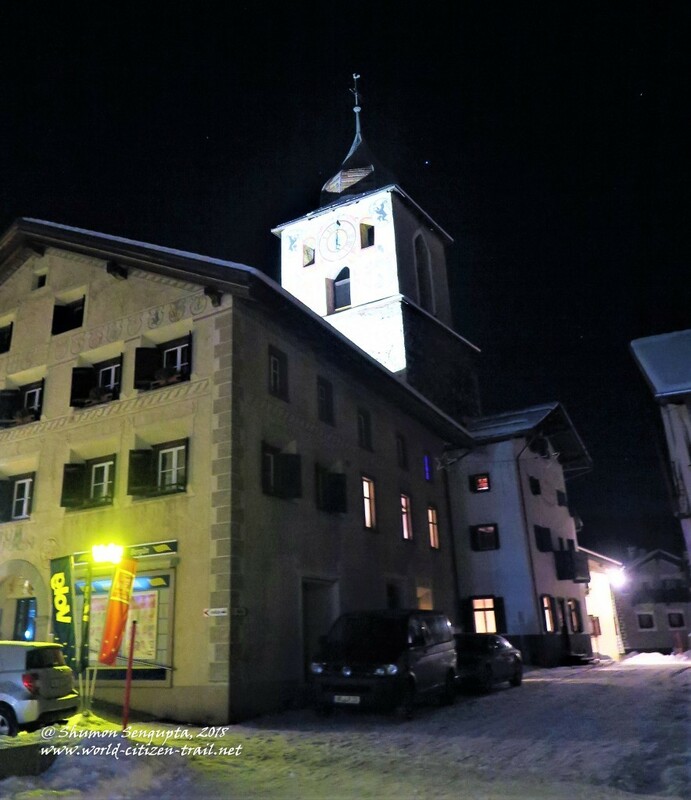 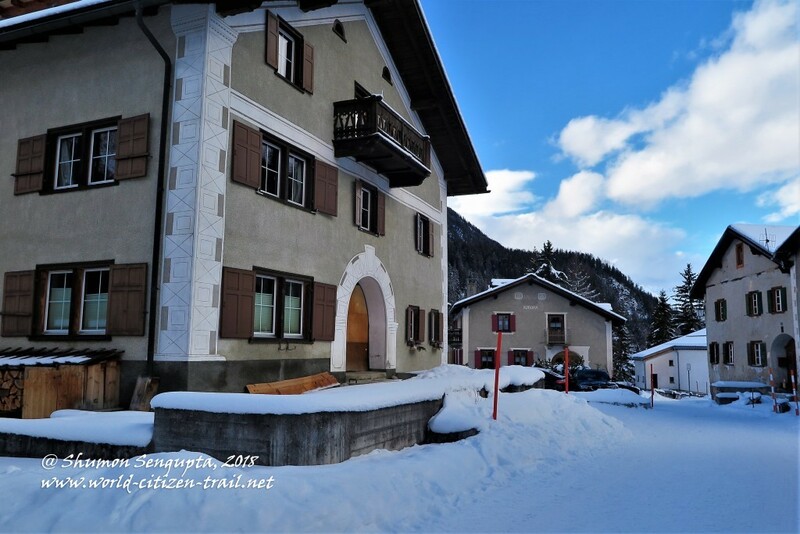 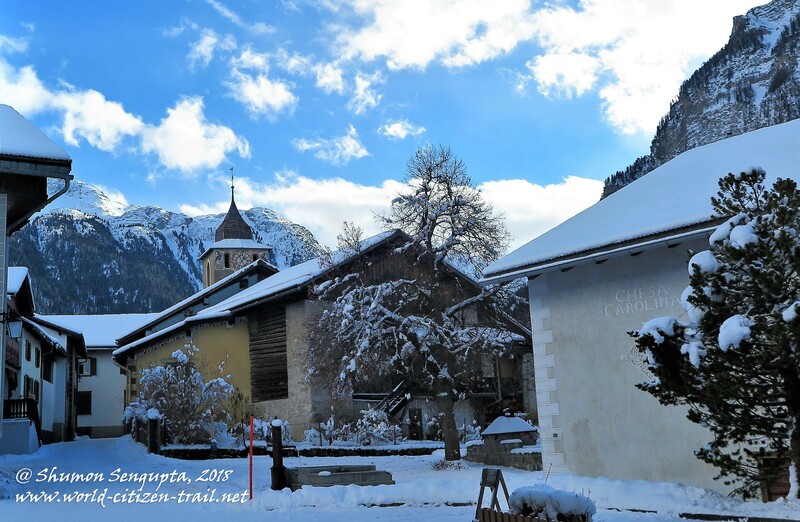 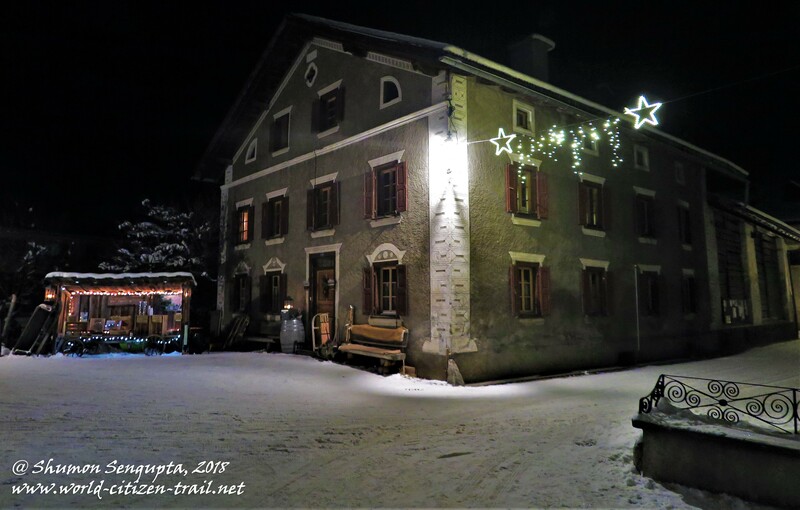 From Preda, you hire sledges and come down all the way to Bergün, over the famous six kilometer long Toboggan track. 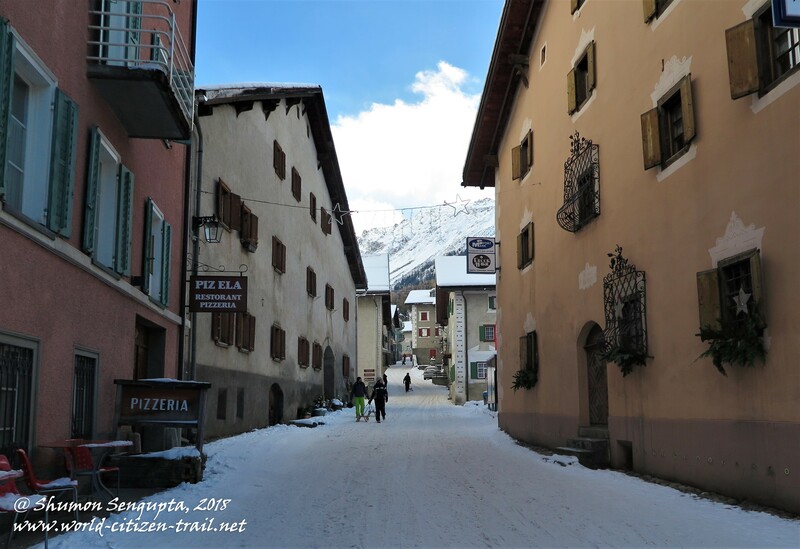 I did take the train up to Preda, but at the last moment I just did not have the heart to do the Toboggan run without Minnie and Nina. Instead, I watched with great delight other visitors having the time of their life, taking off on the run.